Tour of California - CyclingFever - The International Cycling Social Network - Get the Cycling fever! Not much history to the AMGEN Tour of California, to be honest, but they're franticly working to get something going on the US-westcoast. And it seems to be working too! It must be said, usually the weather doesn't let them down considering the early time-slot appointed by the UCI, but it did in both the 2008 and 2009 editions. That problem is solved in 2010 as the race moved from February to May on the cycling-calendar. The UCI also upgraded this race to a 2.HC race in 2007, which is pretty amazing in such a short period of time. Most races need years to evolve to receive a higher race-rank, but the Californians did it in just one year. Founded in 2005, the first Tour of California was held in 2006 and crowned Floyd Landis as the inaugural winner. This race is a perfect counterpart for the Georgia and Missouri races and offers a chance to see the big names in cycling live in the races. It is a little strange to see the big names from the ProTour teams here, but some of the team sponsors have a base or their headquarters here on the westcoast. A huge motivator to send the best that the teams have at their disposal! That fact alone makes this a very interesting race, apart from the versatile routes that are offered to the riders. The time trail specialists do well here, a prologue and time trial are usually part of the race. That got Levi Leipheimer the title in 2007 although a crash in the final stages should have prevented him from even having a shot at the championship in the time trial, having occurred outside the designated 3 kilometer zone. The organisation decided differently however, Leipheimer took the crown. Undisputed titles in 2008 and 2009 make Levi Leipheimer a three-in-a-row winner and clearly the rider in command on Californian roads. The main namegiving sponsor, AMGEN, is also responsible for the race theme: Health and sports go hand in hand in the fight against cancer, one of the world's main threatening diseases. A commendable reason and good for this sport in the USA, capturing the eye of the general public on professional cycling. California is very serious about getting this race more popular by the year by bringing out some of the Hollywood stars and its governor, Arnold Schwarzenegger. We wouldn't be surprised at all if the UCI should decide to upgrade this race to the ProTour level within a few years time. 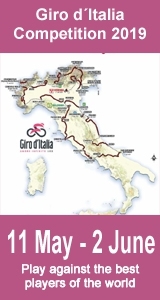 In 2010 the race has already been nominated to be a UCI ProTour event, which would ensure all ProTour-teams to take part in the future and guaranteeing an excellent starting field of the world's best professional cyclists.